I'm resisting the urge to cry because today is a good day! No, today is a GREAT day! 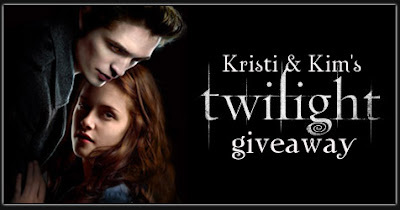 Today's the day Kristi and I get to announce the winners of the Twilight Contest!!! How exciting is that?! So very exciting! But I'll go head and admit that judging this contest was no easy task! Actually, it was impossible. Kristi and I loved all of the entries so much that we had no other choice than to let someone else do the judging for us (all judges will remain unnamed and have now been enrolled in JPP--Judging Protection Program. You know, just in case. Hehe!). Anyway, I must digress, otherwise I will be here all day telling you about all the great entries we got and I'm sure you've all got other important things to do. 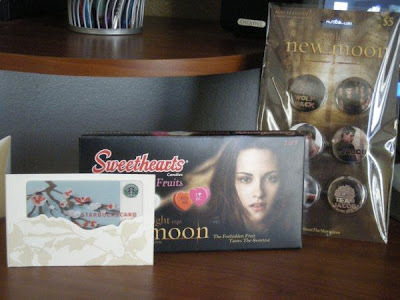 $10 Starbucks Gift Card, New Moon Sweethearts and Twilight buttons--TEAM JACOB! He wrapped his arms around me tight, fire trailed up my spine. I squirmed to slip away, but let's face it, I was nothing but a toothpick between his fingers. His breath snaked along my neck and in my ear. "Bella," he hummed. "Mmm?" I closed my eyes and fell into his spell, remembering runs through the forest at break-neck speed, me clinging on for dear life, bounding from boulder to boulder. What more did I want out of life? His lips crushed to mine in one powerful motion, my heart pounding so loudly that vampires in the next county were sure to hear. But I had no reason to be afraid... not anymore. "Bella," he said again. "I love you." "I love you, too, Jacob." His hands released me in a fury. My eyes opened just in time to see his body fling back twenty feet, leaves twirling in his wind. "It's Edward, Bella! I'm Edward!" "I, uh," am and idiot? "I have to go." YAY, Kristin! 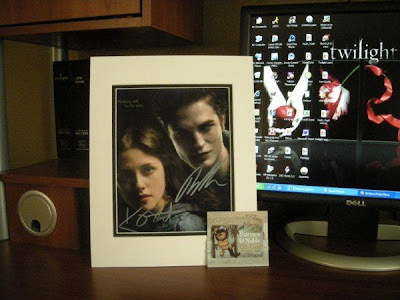 Please email me at Kimlfranklin@gmail.com with your address so I can mail out your prizes (and you're Team Jacob buttons!)!!!! Belle entered her new classroom and sat in the only seat available. As she patted her yellow dress down, she sneaked a sideways glance at her new science partner and took a seat. The boy slid towards the window making a large clanking noise that sounded like metal screeching against metal. The whole class turned to look at the two of them. Belle couldn’t stop staring at the sharp metal spikes protruding from the boy’s hands. She licked her lips and quickly thought of her hundreds of knives at home that put Maddox Jolie-Pitt’s knife collection to shame. This is one boy that could put another notch on her belt (with his own hands of course). And he would be pretty handy as a science partner come frog dissection time. The boy with the sharp hands and crazy head of hair stared outside, stared at Mr. Case at the front of the classroom, stared at anything but Belle during the entire hour of science. This only intrigued Belle more. Who was this interesting boy that she suddenly couldn’t stop thinking about? After school Belle took her time walking home to the dark and damp castle. She had been there two weeks, and Forks still didn’t feel like home yet. As she pushed open the heavy front door, she heard the shuffling of large, hairy feet. Belle looked up at the Beast. He was a good beast, and he loved her so. But he was like a brother to her. A brother whose fur seemed to always smell like wet beast with the nonstop rain in their new town. Belle left a confused, but understanding Beast with Mrs. Potts in the dining room. Belle lifted her skirt with one hand and took Lumiere with the other to light the way up the long, winding staircase to her bedroom. She set the candelabra on the table next to her prized knife collection. She watched the flames dance in the reflection of the silver blades until she flinched upon hearing a noise outside. It sounded like metal scraping against stone. Belle yanked his arm upwards and the boy clanked into the room. Belle shut the door and fell in a heap on the floor with her yellow dress surrounding her like a parachute. She turned to the boy. He was shaking in the corner, his forehead beaded with sweat. “Who are you and what are you doing in my room?” she demanded with a smile. “Belle! He’s dangerous!” Lumiere squeaked. Belle whipped a knife towards the candelabra, slicing the tallest candle. “I am Edward,” he replied. She crawled seductively toward him, he relaxed and reached out to caress her arm. The dagger drew a line of blood on her arm. Belle hated the sight of blood. She shuddered as he traced the line with his tongue. Edward looked up and flashed a shy, boyish grin. Belle knew she had waited all of her life this boy. She ran her fingers through his unkempt hair as he stared at her. “I shall stay and watch you sleep,” Edward replied. Congrats, Kelly! Please email me at Kimlfranklin@gmail.com with your address so I can mail out your prizes!!!! Once again, Kristi and I want to thank all of our wonderful followers for (humoring us and our Twilight obsession) participating. All of the entries were FABULOUS, and if we could, we would have given a prize to each and every one of you! And with that said, I'll leave you with a video from one of my favorite bands, Paramore, whose song Decode was in one of my favorite movies, TWILIGHT! These are fantastic!!! No wonder your job was so hard!! Congrats Kristin! Congrats Kelly!!! 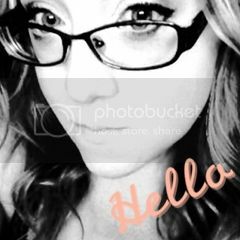 Kimberly I have an award for you over at my blog... but I'm sure you will stop by at some point to say hi!! Congrats to the winners and to their great stories. Fun contest, and prizes! Well done Kelly and Kristin, these are FAB entries! Haha! I absolutely LOVE Kristin's one. Thanks so much for such a fun contest!! EEEEEEP! I can't believe I won! Thanks, ladies, for the super fun contest! It was much fun parodying Twilight. Woo hoo! Congrats to Kristin too! Those are both insanely cool. So creative!! Good job on the selections. You guys rock! Jen suggested I stop by and happy I did. What a happy contest. Enjoyed some fun reads. Thank you! "Decode" was one of my faves too! Everyone - YAY for the winners! Now you see why we couldn't possible make a choice. Yeah, we're wimps, but seriously all of the entries were GREAT!! Kristan - I LOVE that song. I just found out Paramore is coming to Dallas in Sept. I must buy tickets NOW!! Have a great weekend, everyone!!! Congrats to Kristin and Kelly!! Congrats to the winners and their brilliant entries! Well done! I love the ones you picked. So creative :) Now I guess no more twilight logo huh :( Oh well, I bet you can find another use for it. Congrats to the winners! WELL DESERVED!! And you may want to check out my recent post... Have you seen any Hot boys lately?? Kimberly - Checking it out NOW!! DL - Aw, you're too sweet!! What a fun contest - congrats to the winners! Hey kim, I gave you an award on my blog, come and check it out! What a fun contest...so sad it's over!!!! Loved these stories! Thanks ladies for such a fabulous contest and congrats to the talented winners. Yay!